Find below our best tips and tricks when crafting your Social Media Policy / Guidelines + Template in 2019. Curated by MAU. Senior Digital Marketing Specialist at eDigital. WHAT IS A SOCIAL MEDIA POLICY / GUIDELINES DOCUMENT? A social media policy document is can be both a public document accessed via the internet on a public company website, privately via a company intranet or physically via reading a printed copy accessed via tea room or another area within your workspace. A social media policy should be of easy access by any employee, franchisee and contractors at any given time. This document is the “true” source when someone at your company is not sure what, when, how they can talk about your company, your employees and its products and services via social media platforms. No “one size fits all” Social Media Policy/Guidelines. 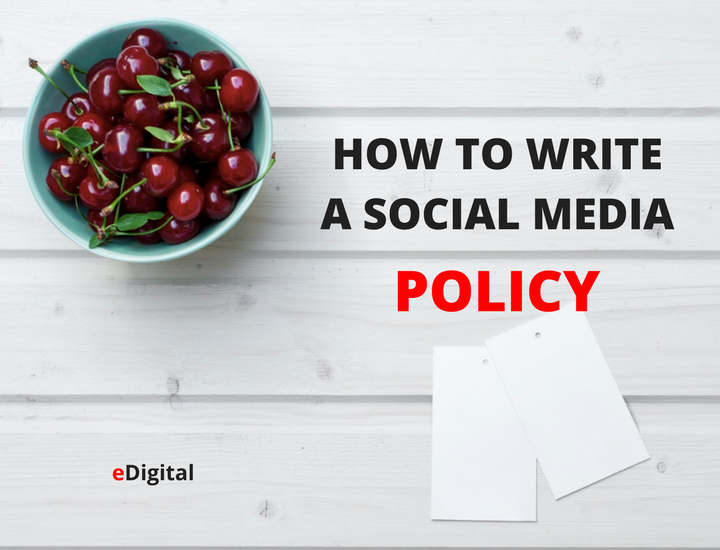 Drafting a social media policy can be different from business to business. This largely depends on the company‘s culture and strategy towards social media use. For example, an e-commerce website conducting business online would focus on risk managing their social marketing strategies on how they interact with customers online. This focus would be different from a professional services consultancy which would be more concerned with maintaining the goodwill of clients. Both need to protect against the risk of damage to their reputation. A social media policy needs to be individually tailored. Involve managers across your organisation. Do proper consultation with your department managers as different departments might have different levels of social media use and risk. Customer service teams might be more in direct touch with customers via social media than your operations team. Research the ways that different social media platforms are already being used. Audit what sort of conversations are happening among most popular platforms and provide examples on what’s acceptable and not. You may have employees in your sales team who might be using social media to attract new leads and clients. Check for their voice and tone and how it aligns to your brands values. Track via alerts that negative employee commentary or bad sentiment when mentioning your company name or brand names on social media channels. You can do this using the free Google alerts or paid social media tools such as Radian6 (SalesForce), Brandwatch and others. You should pick up patterns from this and take action and fix any problems. Employees are talking about your company and its brands for a reason. Use past negative sentiment and commentary as examples when drafting your new social media policy. This ways it is easy and clear for managers across your organisation to understand social media talk, voice and tone your employees should avoid. Consider and predict problems that could arise in the future, specially for up-coming new product, services or advertising campaigns that might create some level of controversy. Consultation is key. Understand employees key objectives when talking about your company via social media. 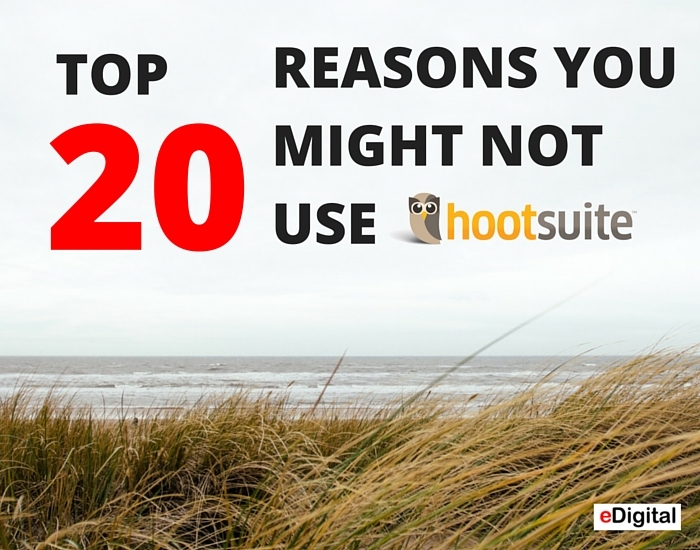 This will help you gain trust and get buy in when implementing your social media policy. Employees often know more about the social media platforms than the managers who are trying to regulate them. Standard Employment Contract. Your standard employment contract should stipulate that your business has a social media policy that will be updated from time to time. Your employment contract should also set out potential consequences resulting from an employee’s failure to adhere to the policy – for example, that serious or repeated breaches of the policy may result in dismissal. Acceptable level of Social Media Engagement– Encouraging social media interaction from employees can be a slippery slope that leads to employees not managing their time in the most productive way possible. Make sure you have an appropriate Social Media Policy or Guidelines in place to ensure that all employees are made fully aware of the acceptable level of social media engagement that is permitted whilst at work. You might want your lawyer to check your Social Media Policy and add it into an Internet use policy, as well as into the employment contracts. Avoid negative social media commentary from employees – Failing to have the appropriate regulations inserted into your Social Media Policy can result in employees inadvertently or purposefully publishing bad commentary about your business. This can hugely damage to your business’ reputation, and has the potential for resulting in defamation claims against your business. To make things worse, if the comments are damaging a competitor, it may result in anti-competitive behaviour claims, which can result in large legal costs. A well structure Social Media Policy should account to avoid this kind of behaviour. Clarifying who owns what when employees leave – It is a huge risk to employers when ex-employees’ social media accounts contain confidential business information, such as client numbers and details, and the employees continue to communicate with these clients. Your Social Media Policy should account for these risks by inserting an intellectual property clause into the Social Media Policy that states that all intellectual property, at the termination of employment, will remain the property of the employer. If left unchecked, this can easily result in litigation due to the complexity of the ownership issues. While in most cases it is understood that client lists remain the property of the employer following termination of the employment relationship, the lines between ownership of social media accounts are blurry at best, such as when the client list being claimed is a list of followers on the employee’s social media accounts. Bad-mouthing your own company – It isn’t hard to imagine employees having an argument with their boss and then resorting to social media to vent their frustrations about your company. This can lead to employers wanting to terminate their employees’ employment contracts. This area is seldom dealt with in the Courts, so make sure you consult your employment lawyer before you fire an employee for this kind of behaviour. Guide employees – with practical and real best practice examples including comments about your company’s activities, assets, brand names, IP and employees. This will clear up any doubts. Minimise negative publicity from a comment made by an employee, franchisee or contractor via social media. Ensures what sort of topics should be avoided when commenting on social media. Clarifies who are official public spoke persons and/or brand ambassadors who are the ones talking to media. Ensures staff understand their social media role when they are representing the business via social media channels. 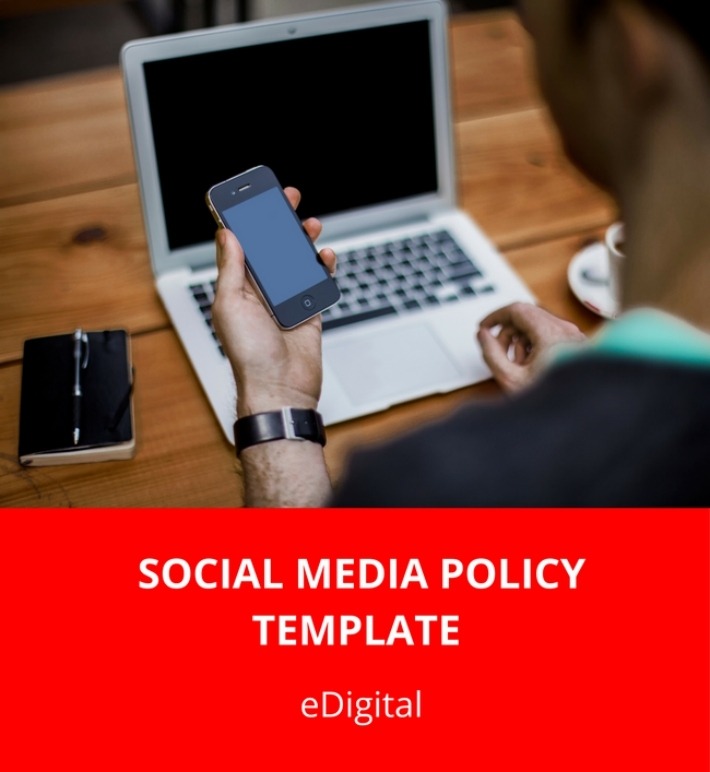 HOW YOU CAN GET EDIGITAL’S SOCIAL MEDIA POLICY TEMPLATE? Your business can mak the most out Employee advocacy via social media commentary. Suggesting your employees to promote your business’ content via your employees social media accounts can result in more brand trust. This development highlights the importance of incorporating a Social Media Policy into your employee contract/handbooks. At the same time encouraging your employees to talk about your business can be financially risky, and potentially have a negative impact on the reputation of your business, which is why Social Media Policies are extremely valuable in the long run. Social media commentary in most cases is fun, helpful but can also be dangerous and can backfire to your company’s good reputation and trust levels. Employee’s comments, notes and photos posted on social media sites such as Facebook, Twitter and on-line forums are usually constructive and positive. But negative comments and images, bullying, criticism, sexist, political, confrontational or racial remarks can be dangerous and harmful to the well being and reputation of your company and its brands. With the increase use of social media by current customers potential customers, your company’s providers, partners and government; it is imperative your employees voice and tome about your company – via social media – is the most appropriate. Once a comment is posted on the internet and it is being picked up by the media; it will be almost impossible to delete it. It is important that your employees are trained on best social media practices both for personal, professional and as a brand ambassador. Decreases the chances of a small comment to become a massive negative publicity for your company. Ensures all employees are aware of the risks on making a public comment about your company. Minimise the use of penalties and warnings to employees because of their not acceptable social media commentary. With the new advent of real time video commentary, more companies and employees behaviour are being scrutinised by both media, customers and government. Tools such as Periscope, Facebook Live. In case a former employee sues your company for “unfair” dismissal. You can fight that your company was clear and explain a comprehensive ‘Social Media Policy”. Without these, it could be difficult if you wish to terminate an employee for inappropriate use of social media. The fair work commission will notice this. Have a clear record within your business that your employees are aware of the terms of the social media policy. Each employee should be asked to read an sign an acknowledgement that they have read social media policy. Updates. Ensure you regularly update it to deal with new behaviour and new technologies. use the company logo, trademarks, IP, customers details without your company permission. Ensure that your employees are aware of the existence and current terms of your social media policy. Give employees regular reminders about the terms of your social media policy. If you conduct regular staff reviews or hold regular team meetings, these are an excellent forum for discussion of existing policies and any policy changes. Names of those in the company who are allowed to speak on the company’s behalf via social media. If an employee is contacted via Facebook with a question or concern about the company, should they forward it to a certain company representative? Integration with other Policies. It’s also important to ensure different policies are not viewed in isolation of each other, she says. For example, there should be clear interaction between the organisation’s social media policy, the internet and email use policy, and the bullying, harassment and discrimination policies. Each of these should refer to the social media policy, and the social media policy should refer back to them. If the policies are not integrated and, for example, social media is used to facilitate bullying, there could be confusion over which policy to apply to the situation. Consistent enforcement. Having a great policy is one thing, but failing to enforce it can undermine all your hard work. You need to properly identify and investigate potential policy breaches before speaking with the employee concerned, then carefully document the discussion or warning so that there is evidence of the breach. And be consistent in enforcing the policy across the board for all employees at all levels of seniority to keep the message strong. If staff members notice that some employees are getting away with posts that others are being disciplined for, the employer’s inconsistency could be used to challenge subsequent terminations. Regular or repeated breaches of your social media policy, particularly by a ‘repeat offender’ or an offending group, can create a hostile work environment and be damaging to your business. Although each breach viewed in isolation may not provide sufficient grounds for a dismissal, multiple breaches viewed together may constitute serious misconduct. This is because repeat offences reflect a disregard for your business policies and priorities, and can destroy the trust in your working relationship. The Fair Work Commission considers repeated breaches of a social media policy by an employee to be incompatible with the employee’s duties, and has upheld decisions of employers to terminate employees in those instances. Clearly outline your expectations. Clearly and un-ambiguously outline the standard of behaviour expected of your employees by setting out what constitutes acceptable and unacceptable use of social media.Including examples where appropriate.This standard of behaviour can range from requiring your employees to maintain an updated LinkedIn profile, through to restricting your employees from making any reference to your business or its customers on social media. Reflect duties imposed by law. Your company and your employees have a variety of legal obligations under anti-discrimination and anti-bullying law, and these aspects should be covered in your policy so that your employees are familiar with the legal requirements. Intellectual Property. Your business’ name, logo and slogan all constitute your intellectual property, which can be damaged and de-valued if misused. Your social media policy should remind employees that your intellectual property is valuable and that their unauthorised use of it would likely result in real damage, including financial damage. Break down any misinterpretations about what it is considered IP (Intellectual Property) and what it is not. Set out the consequences of non-compliance. To avoid the costly and time-consuming nature of legal action, it is vital that you clearly set out the consequences of failure to comply with your social media policy. Consequences can range from requiring an employee to attend a social media policy training session through to an employee’s dismissal, depending on the seriousness of the breach. Group unacceptable social media use behaviours in your policy according to the likely consequences, so that your employees understand the severity of the behaviour and the corresponding consequence. Clarifying the consequences from the outset will assist you to effectively enforce the policy if breaches occur. Your policy might also state that multiple minor breaches of the policy, taken together, can lead to dismissal. Employees should be made aware that some behaviour may have consequences that extend beyond termination of employment. For example, misuse of your business’ intellectual property or specific instances of destroying customer relationships may give rise to a claim for damages with financial repercussions for the employee. Appropriately regulate personal use of social media. Just because your employee uses social media in their personal time does not mean that their use is private – in fact, it is usually for the whole world to see, including you and your customers. ( Example: People can easily take screen shots of snapchat images and conversations). This means that it is common for companies to place appropriate restrictions on their employee’s personal use of social media in order to safeguard companies legitimate business interests. Recent decisions of the Australian Fair Work Commission show that disciplinary action may be taken against an employee if their social media use has seriously damaged their relationship with their employer, other employees or customers, or damaged the reputation of their employer’s business. This remains the case even if the use was outside of normal working hours. Accordingly, your social media policy should set out your expectations regarding your employees’ use of social media for private purposes. For example, your policy may require your employees to name any online posts as their own opinion. This ensures that your business is distanced from any comment that your employee makes that does not reflect your business opinions. You should also consider whether it is appropriate to restrain your employees from discussing topics on social media that are likely to cause offence or incite argument. Whether or not this is a reasonable policy will depend on the nature of your business and the degree to which your employee’s reputation is connected to the reputation of your business. This social media policy template has been designed for easy editing on Microsoft Word so it is easy for your to modify it as you wish. Ensure your final Social Media Policy is saved as a PDF or any other secure file so no-one can modify without your approval. Having a Social Media Policy document is only the first step. You need then to find the most appropriate way to explain and remind your employees, franchisees and contractors about the your company expectations when talking via social media channels. For new employees, it is important to given then a printed copy and spend few minutes explaining what your social media guidelines are and what they mean. Giving them examples of both bad and great social media behaviour can reinforce your social media policy. Call out the type of messaging employees are encouraged to share. Let them know how valuable their voice is to the business and your customers. Encourage them to share their unique perspective and insight, to find the brand-boosting stories only they can tell. Encourage them to promote their co-workers as well, sharing congratulations on each other’s achievements and fostering community. Encourage employees to disclose that they work for your company, and to disclose the relationship when promoting any of your company’s clients. Finally, employees should never represent themselves as officially speaking for the company, and should make it clear their opinions are their own. Reinforce the Company Culture. Your company’s brand guidelines and culture should be a driving force of social media interactions. So it makes sense to sum up what company values you want to project. Let employees know that they are responsible for upholding these values in all their social media communication. In general, it’s good to promote transparency, honesty and respect to individuals. That means being truthful about the brand and its competitors, never trashing other companies. Set Expectations of Privacy and Appropriate Behavior. Remind employees that public posts on social media are reflective of the individual and the brand by proxy. For example, if an employee posts profanity-laden rants or political memes, that could have a negative effect on the business. Offer a brief explanation of how major social media platforms’ privacy features work, and how to restrict personal posts to friends only. Encourage mindfulness in choosing who to follow and accept as follower, and encourage employees to separate personal and professional profiles. Addressing Crisis Management. make it clear who is responsible for speaking on behalf of the brand in such a crisis and what response is appropriate (i.e., when to stay silent, how to express condolences, what kinds of information to pass on). Addressing angry customers and/trollers. Make it clear that arguments are never appropriate; that customer service issues should be passed to the right department and outright trolling should be ignored. With new social media platforms cropping up all the time, workplace social media rules must go beyond simply discouraging employees from putting off deadlines to play with Snapchat filters. 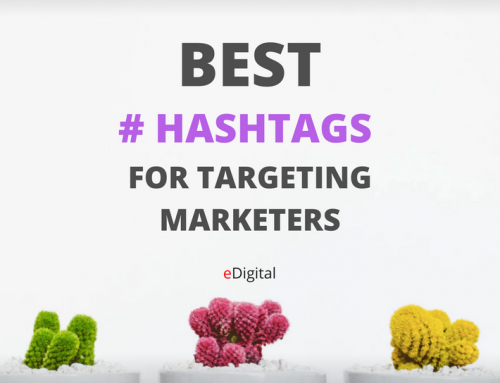 In fact, your corporate social media policy could probably use some updating right now, and on at least an annual basis moving forward to reflect industry changes. That is, if you even have one! Only 51 percent of people said their employers have social media guidelines in a recent Pew Research Center survey. No matter the size of your company, ask yourself this: When was the last time you reviewed your company’s social media policy? And if you don’t have a policy in place, what’s holding you back? Developing a social media policy and keeping it up to date will ensure that your employees are aware of what they can and cannot do, help your company avoid violating any rules and ultimately serve to cover the company’s you-know-what. Here’s a closer look at why you’ll want to make an up-to-date social media policy a priority. Avoid legal scandals. All you have to do is recall Chipotle’s gaffe from 2015, in which it lost a lawsuit for firing an employee who posted negative items on social media. The court found Chipotle’s social media policy actually violated labor laws. Work with your legal team to update your policy so it gets updated with legal changes coming out of the your Trade Commission and any relevant Labor Relations Board. Your old policy needs to reflect the current legal standards. For instance, the USA FTC has clear guidelines regarding disclosures and endorsements. See how those affect your social media marketing. Protect company secrets. As the Society for Human Resource Management (SHRM) explains, a social media policy may actually help safeguard sensitive data from potential hackers and online scams, especially in a bring-your-own-device environment. Employees should also know what proprietary information about the company must never be shared — another aspect that needs to be regularly updated as the business grows. Protect your company’s information by identifying what is considered confidential, such as marketing tactics, non-public financials, future product launches and other “for internal use only” communications. Check out GM’s social media policy to see how the company spells it out for its workers. Make it clear what type of social media activity is and isn’t allowed. While it might be obvious that posting illicit, offensive or insensitive material on a company-branded social media page is a not a great idea, it still happens. For the people running social for your company, what checks and balances are in place to avoid a public relations disaster? Are the rules different for each platform? Make it easy to understand how employees will be held accountable for what they post on their personal pages and who will monitor that. Be specific as possible in your social media guidelines. There has been a breach in the policy by an employee, you need to find out whether your policy was not clear enough. When there is a new way of social media communication on an existing social media platform or when there is a new popular social media platform. Ideally, effective social media policies should be fluid and responsive to the fast-paced digital world. But at the very least, taking the time to perform a yearly review can check the validity of your guidelines, save your employees a lot of confusion — and help your company avoid potential pitfalls. Avoid policy requirements that are onerous and unreasonable. Example: suggesting employees to control employee’s friends commentary about your company via social media. Avoids threatening staff (Commonwealth bank issue 2011) over the use and commentary via social media channels. Two recent Fair Work Commission decisions illustrate how an employer has exercised its right to dismiss an employee who disregards its social media policy and the limitations that are imposed on an employer that purports to regulate its employees’ interactions on social media. Crucial in both decisions is the connection of the employee’s social media activities to the employment relationship and whether the employer’s social media policy is a legitimate means of protecting the reputation of the business. How one Tweet blow up Justin Sacco’s life. SBS journalist Marion Ives sacked by commenting about SBS on her personal Facebook account. Qantas Airline: “You abuse us, we will abuse you back” approach. Ambulance Victoria Controversial Social Media Policy. Transfield Services – Australian outsourced immigration detention centre management provider. This is a very useful article that guides what to do if an employee refuses to sign a Social Media Policy. The official Social Media Policy Template for NSW agencies can be found here. Personal use of social media is not private. Appropriate regulation of your employees’ personal social media use is acceptable and enforceable. Social media policies are an excellent way for businesses to regulate a technology that can harm them. Mastering your business’ social media policy implementation, content and enforcement will ensure that your business maintains a strong and positive online presence. Get your Social Media Policy Template today! You will receive your social media template in your email once you send us your details. 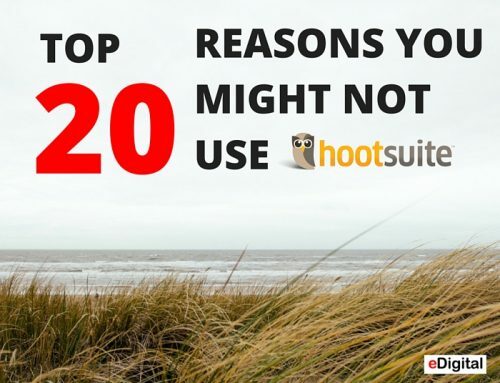 Do not have time to draft your social media policy? eDigital can help you draft the best social media policy for your company.Contact eDigital today! eDigital can also run corporate workshops and sessions with your employees to ensure they understand your social media policy.